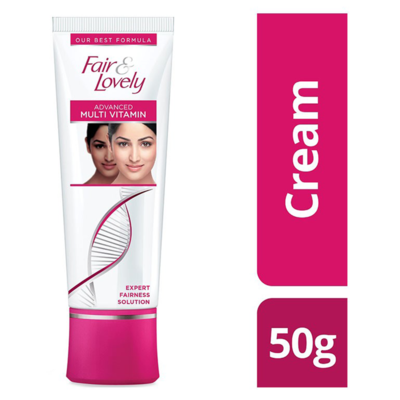 This Fair and Lovely advanced multi vitamin cream is perfect for all skin types. Enriched with vitamin B3, vitamin C, vitamin E, vitamin B6, the cream gives you instant fairness and glow and is very safe to use. Its advanced sun protection formula shields your skin from harmful UVA and UVB radiations. With regular use, dark patches and spots on the skin start getting lighter. A superior product from the Fair and Lovely brand, this cream is available in 50g pack that you can just carry everywhere and never worry about looking dull in the day. This Fair and Lovely advanced multi vitamin cream is perfect for all skin types. 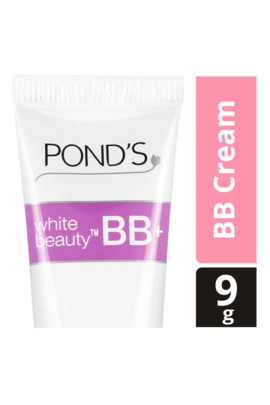 Enriched with vitamin B3, vitamin C, vitamin E, vitamin B6, the cream gives you instant fairness and glow and is very safe to use. Its advanced sun protection formula shields your skin from harmful UVA and UVB radiations. 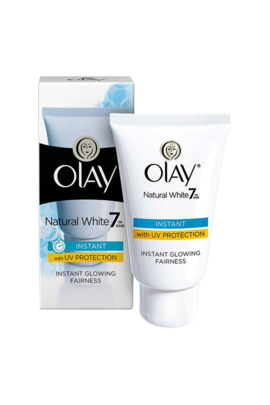 With regular use, dark patches and spots on the skin start getting lighter. A superior product from the Fair and Lovely brand, this cream is available in 50g pack that you can just carry everywhere and never worry about looking dull in the day.